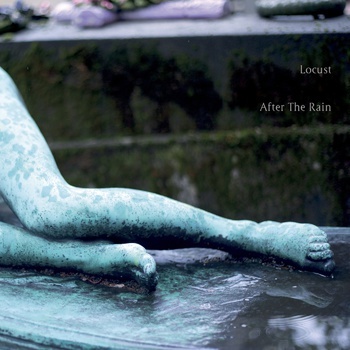 After the Rain is the latest offering from Mark Van Hoen and Louis Sherman's Locust project. Following up the 2013 release 'You'll be safe together' this new album sees Locust stepping away from the abstracted forms of previous works presenting a more melodic/harmonic proposition. Bathed in a warm nostalgic memory 'After the Rain' draws on Mark's formative influences, primarily 70's electronic music. With greater input by Louis Sherman (who, although being born when Mark was originally taking in this music shares an equal enthusiasm for this particular period of European melancholic machine music). Unlike previous Locust and Mark Van Hoen releases which relied on programming and sequencing much of this new record was played live, creating a space where innovation is secondary to the suggestive power of time, space, mood and melody. Rich in melancholia and a yearning for a world once suggested After the Rain explores a crack in the historical framework, one embracing female identity and astute observations of melodic atmosphere. After the Rain is a melodic electronic mood record which presents itself as a triumph of historical revisionism.